You may not be alone, did you know that 80% of people are unhappy with their smile? As we age, it is normal for our teeth to discolor, chip, crack and wear. At Noble Dental, we can handle your cosmetic dentistry needs. We offer the newest, clinically-proven dental materials that can achieve the most esthetics, predictable and long-lasting result. The cosmetic dentistry we provide ranges from composite fillings to non-metal crowns and tooth whitening to veneers. For cavities or small chips, we provide composite or tooth-colored fillings. If you have a broken down or a cracked tooth, we can build them back up and protect them with non-metal crowns. With our cosmetic dentistry, we strive for the highest esthetic outcomes while using strong and durable dental materials. 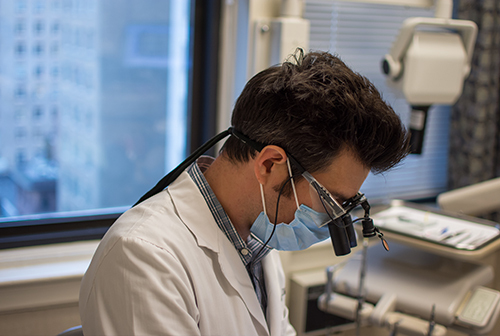 With all the dentistry we perform, we strive for the highest cosmetic outcomes. We understand that each patient has their own cosmetic dentistry needs and goals. At Noble Dental we are here to listen to your desires and offer a range of services that can meet your own unique goal. These services range from teeth whitening to veneers to complete smile makeovers. If you are unhappy with the color of your teeth, we offer teeth whitening that can give you the bright white smile you have been looking for. If you have tried whitening before and still cannot get your teeth to the color you want or if you do not like the shape or size of your teeth, we can give you your ideal smile with porcelain veneers. Porcelain veneers are thin shells of porcelain that go on the front of your teeth that can give you the white, symmetrical, natural-looking teeth you have always wanted.